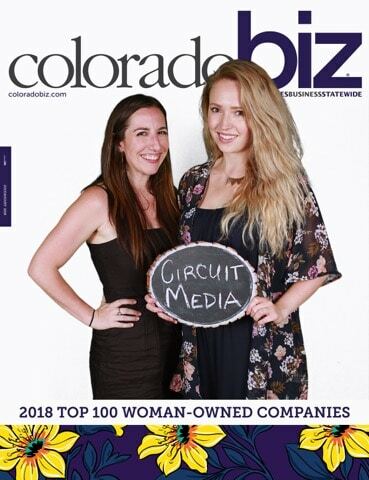 Circuit Media is #47 on the 2018 Top 100 Women-Owned Companies List! The revenue-based list, published by ColoradoBiz Magazine, recognizes leading women-in-business throughout the state. In 2016, Circuit Media was #88 and in 2017 was #70. Lisa McKell and Ali Manor celebrated alongside other women business leaders at the list unveiling event on June 21. The event was held at the Studios at Overland Crossing in Denver and emceed by local meteorologist Lauren Whitney. We are very excited for the recognition as a top 100 women-owned business for the third year in a row and look forward to continued growth this next year!